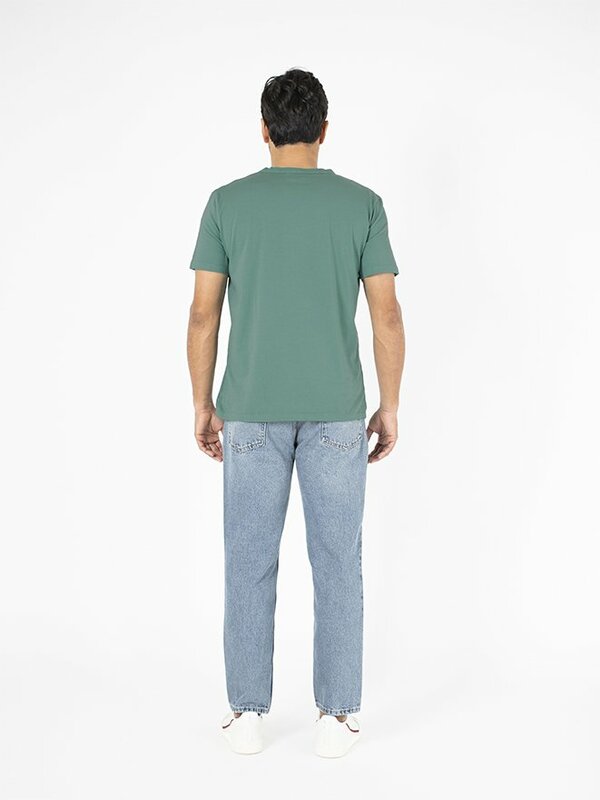 Olive green short sleeve t-shirt. It features a print with the words "Open! Paul's summerfruit wagon B.C." on the front.